To wrap up music week, I bring you the artist who saved me, who helped me make sense of the hardships in my world, who explained the dark feeling I have in my soul, when nobody else could. So many of us in Gen Y were raised on Eminem, with his pushing-the-limits material about taking drugs, getting drunk, sleeping with girls, and basically causing mayhem. Related to this musical movement, but with more serious topics and deeper meaning, was D12, the rap group containing Eminem, Proof, Kon Artis, Bizzare, among others. My love of this dark music is often seen as paradoxical to my outward life of mascots and stuffed animals. I try to find happiness where I can, and try to look happy on the outside, but inside, am decently broken. This is not a request for sympathy or a cry for pity; rather a proclamation of reality. We are not always as we seem. My wish is for people to be as D12 was: free to openly express their feelings within, to not always pretend that life is good and happy and positive when really there’s pain and downfall all around. Upset and together is better than upset and alone. 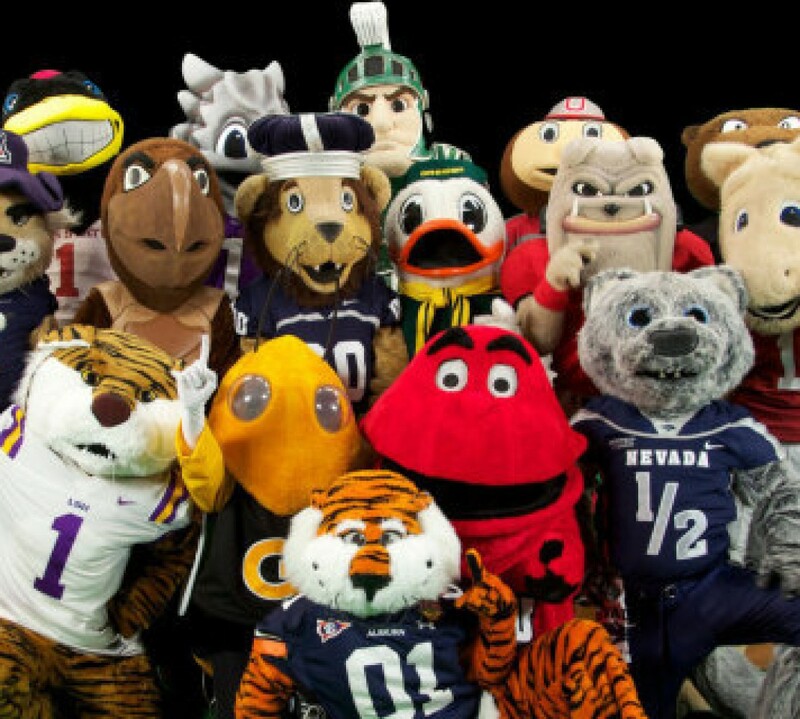 Mascots bring people together and put smiles on their faces, if even for only the 3 hours of the game. I see this as one of the best things that can be done in the world, and am thankful for such. From Detroit itself, the home of Eminem and D12, is Paws, of the MLB’s Tigers. He looks like a weird version of Tony the Tiger, from Frosted Flakes, but hey, both are happy, so why not keep them both around?! Paws, Roaryof the NFL Lions, and Hooper of the NBA Pistons, are bffs! Isn’t that cute? It has been almost 2 months since I chose a mascot of the day, and while I enjoyed the busy feeling of tax season, I am glad to be back, looking at the happiness of characters. According to some of my recent dude contacts (aka Tinder creeps) my love of mascots and stuffed animals makes me ‘creepy’ and ‘weird.’ Yes, I am totally weird, but it’s not like these things kill. They are there solely for happiness. Like, there is so much stress and difficulty and bad in the world, so why not just add a little joy sometimes? But, my logic is not of a typical ideal, and therefore, I shall be single for the near future. This is Mason, and I guess he is a chubby firefly. He lives at the stadium aka the Mason Jar, and is just freaking awesome. Mason might just be the best part of this Met’s minor league team, since the 500 record is not likely to last. Unless most of the games are at night, because the logo glows, and that might just be enough to throw some pitchers off. Columbia’s pretty awesome, huh? Oh, still no? Okay, well, last Thursday, 10,000 people thought differently, so booyah. So let’s glow fireflies! WOOO! Bonus: I got a photo with the cutie! How awesome is that?!?!? !